Your home probably has dozens of great features that are going to help it stand out and sell faster. Perhaps it has a cozy sunken living room? Or an equipped and smartly decorated kitchen that Rachel Ray would envy? Or a location in a desirable area? All these things will help. But there’s another selling feature you should consider adding: a pre-sale inspection. 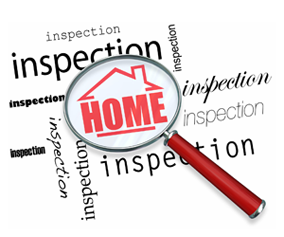 A professional inspection can identify problems that might otherwise thwart the sale. Say, for example, you get a great offer but the buyer’s home inspector discovers a minor leak in the foundation. That might be enough to jeopardize the deal. However, if you had a professional inspection done, you would have had the opportunity to get that problem fixed in advance of the offer. Informing potential buyers that a professional inspection has been done is a great selling feature. It demonstrates to buyers that there are no hidden problems with the property, which gives them more confidence to make an offer. A certificate of home inspection can be as enticing a feature to home buyers as a wrap-around deck! Previous Previous post: Want To Sell Your Home Faster? Next Next post: Does Location Really Matter?